The Bari Patras ferry route connects Italy with Greece. 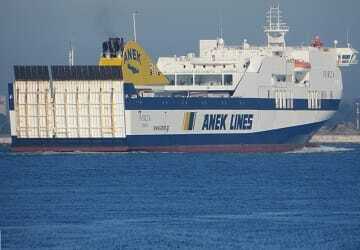 Currently there is just the 1 ferry company operating this ferry service, Anek Superfast. The crossing operates up to 6 times each week with sailing durations from around 16 hours 30 minutes. Bari Patras sailing durations and frequency may vary from season to season so we’d advise doing a live check to get the most up to date information. Prices shown represent the average one way price paid by our customers. 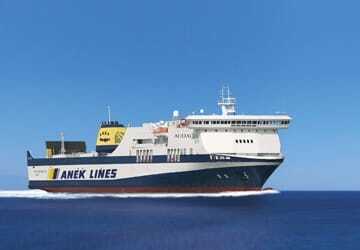 The most common booking on the Bari Patras route is a car and 2 passengers. Customer service was brilliant, I will recommend this company to others. 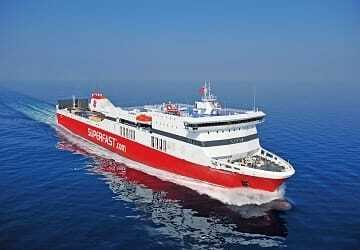 "My trip Bari-Patras and return, agoust 2014"
Superfast ferries is a good company. I go every year beween BARI and PATRAS with my peugeot partner. There isn't any problem. The schedule is respected. It's fairly easy to find a place to lay down and sleep in good conditions (except during the weekend) The food in the self service restaurant is decent and the service is good. 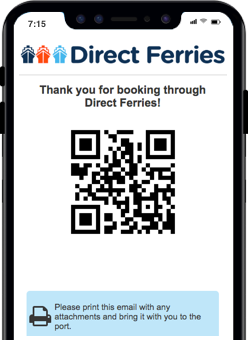 I'll travel again with Superfast ferries in 2015. 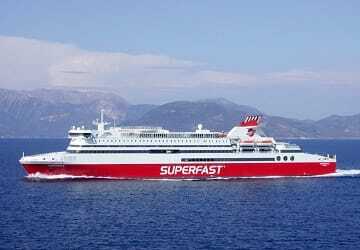 We have travelled end of October with the Superfast I from Bari to Patras. It was a very relaxed trip. Mainly because it were not many travellers on the ship, which made it very nice. Unfortunately, we had missed the information on the website that it is possible to sleep on the open deck in your own camper or van, so we had booked a cabin. The cabin was very nice but still, next time we will use the opportunity and save the money for it by sleeping in the van. Generally the prices of the cabins are not cheap. In short we had a very nice trip, enjoyed a low amount of travellers and would do it again. We had a 2 berth outside cabin which was really comfortable, clean and quite. We were welcomed on board and shown to our cabin, which was nice. Staff wete friendly and spoke good English. We used the bar and had a nice sandwich. Positives: the installations were clean and the staff was nice, especially in the restaurant (which offers a good value for money) Negatives: the lock of our cabin wasn't working and, because the staff didn't believe us, someone always had to stay inside the cabin, which was not very practical! The worse thing is the timekeeping. A 2h30 delay. The boat doesn't desserved to be called 'superfast'. 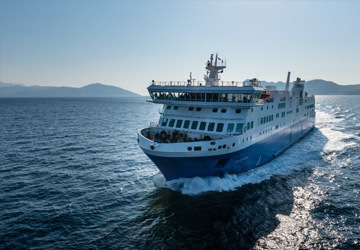 It should be called 'superslow ferry' Next year, I will go to Greece through former Yugoslavia, I am fed up with the ferry!